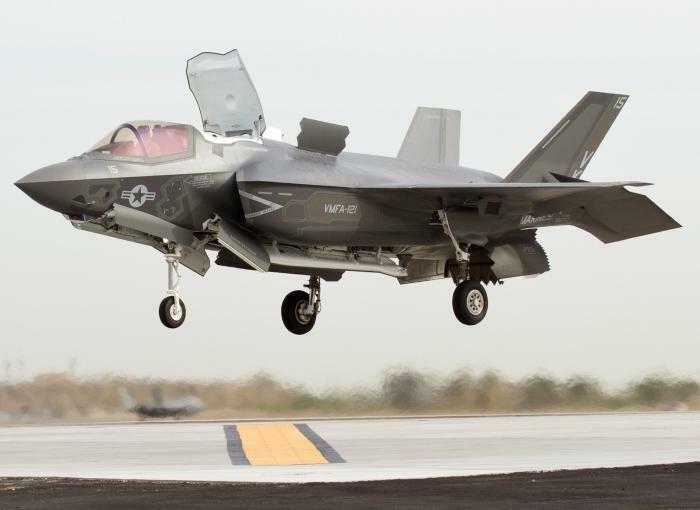 U.S. Marine Corps fighter pilots are refining a new plan for air-to-air combat as they integrate the Lockheed Martin F-35B Joint Strike Fighter with older jets, and it will mirror aspects of how the U.S. Air Force adapted its fleet to the Lockheed Martin F-22 Raptor. The concept is called the Hornet Standard Game Plan, said Marine Col. Steven Adams, who oversees advanced tactical training for pilots. It is named after the Boeing F/A-18 Hornet jet, which the Marine Corps and the U.S. Navy have used for years and continue to fly in missions against the Islamic State militant group over Iraq and Syria. The tactics taught are classified, but an unclassified summary of the program provided to The Washington Post said the plan amounts to “an overhaul of air-to-air employment tactics” that improves how older fighter jets interact with each other and with the new F-35. It also will help the pilots coordinate with troops running mobile ground radar systems below, the summary said. For the complete story by Dan Lamothe of The Washington Post, click here.